Solutions - MR HealthTech Ltd.
Our Solution Portfolio has innovation at its core. At MR HealthTech Ltd., we create innovative software solutions to suit every need. 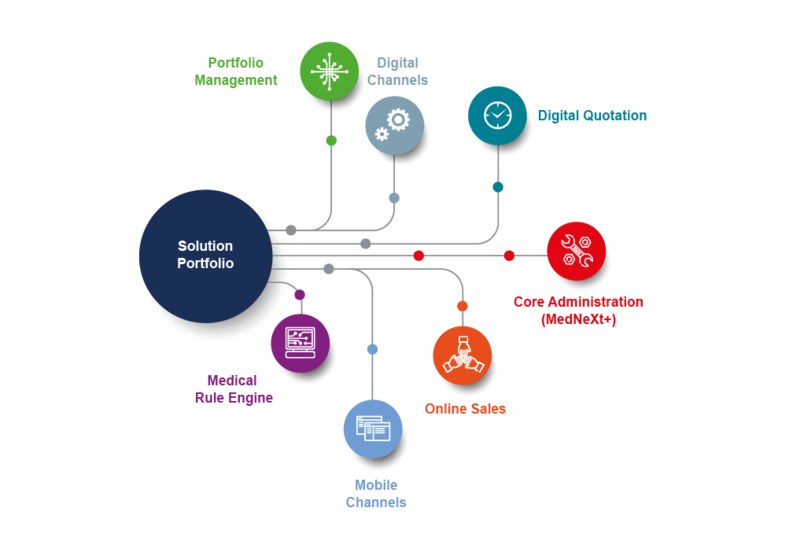 Our comprehensive solution portfolio includes many specialized options which enable insurers, as well as Third Party Administrators, to generate and manage both individual and group health insurance business—all with great success. We use state-of-the-art Oracle Technology, which guarantees performance, stability and continuous technology evolution. Front-office applications which support sales and customer service. A core insurance system which supports and automates end-to-end processes. Business Intelligence, Analytics, Monitoring and Reporting tools. Outstanding User Experience through a Modern and Responsive User Interface. Modular applications, interconnected within a Service Oriented Architecture. Enabling workflow and document management.